An embedded picture is worth a thousand…huh? I must admit, that as a philosophy major in a sea of engineers much of the technical detail about what we do at QNX gets lost on me. However one area who’s value is plain even for the likes of me to see is the impact of a well executed HMI on transforming user experience. The bar continues to rise on what constitutes great HMI design and with that both technologies, techniques for deployment and deployment process best practices are maturing at a rapid rate. Oh, and more than just a little artistic finesse is also helpful. One such firm with a good mix of skills and know how that I’ve blogged about in the past is Teknision. We’ve been collaborating with Gabor Vida and the Teknision team now for more than a year on an exciting array of next generation embedded HMI’s and associated devices with medical, industrial, automotive and consumer application. And with an exciting year of customer launches ahead of us we thought it was time to take the veil off of some of the Teknision goodness that is enabling our customers to celebrate embedded HMI design success. Please allow me to decipher this alphabet soup. Persistent Publish and Subscribe. This is the messaging framework we’re deploying to aid in the design and deployment of embedded applications that must not only support a wide range of devices and software components, but also communicate with a sophisticated HMI such as the next generation of smart Industrial Automation controllers and management systems. 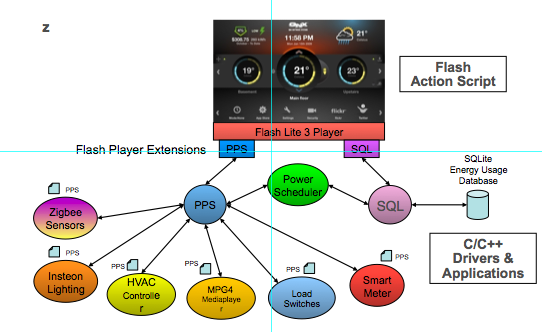 In our webinar on May 18th with Texas Instruments we’ll show how we have used a Flash-based HMI, but the advantages offered by the PPS messaging model could also apply to HMIs built with other technologies. Join QNX Software Systems and Texas Instruments for a presentation of key technologies that are already enabling the implementation of smart devices into smart homes, buildings, and a host of industrial applications. Learn how to make design decisions that can save development effort, time and costs, while delivering a smart industrial system conceived to easily integrate new technologies and devices. In the presentation we will review market trends and specifically, we will discuss system design, including silicon selection, the Persistent Publish/Subscribe messaging paradigm, and the use of Adobe Flash Lite (Flash for embedded systems) for building diverse industrial systems. We will review the existing TI solution tailored for this market and the benefits of using the TI portfolio with the QNX Neutrino RTOS. Our Third Party Solutions directory was a brand new feature to our 1996 homepage. 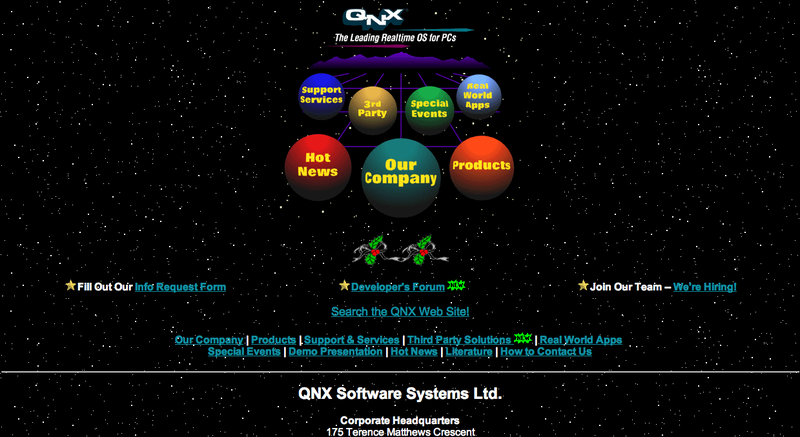 In fact it is quite likely 1996 was the first year we had a homepage. Highlight categories were: Database & 4GL tools, Development Tools, Embedded Industrial Hardware, Industrial Automation, Mutlimedia Communications and Connectivity, Storage and Backup Systems, Training & Consultants. There were approximately 40 third parties we linked to from our directory. Contrast that to present day with over 300 registered QNX partners and some 14 partners categories. One big change is the Silicon category. In 1996 we didn’t have a Silicon Partner category since we only supported the x86 architecture. 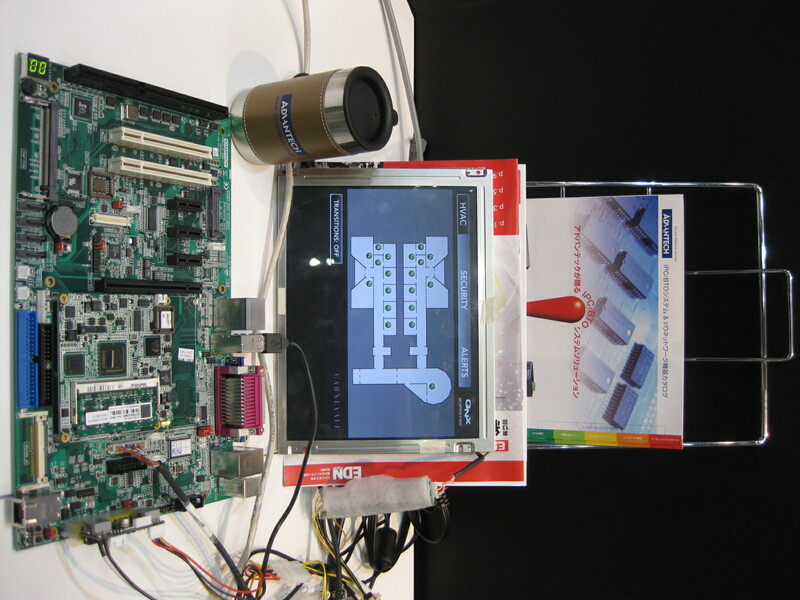 Now we support ARM, MIPS, PPC, SH as well as FPGA solutions. 30 years on and we’re gearing up for another look at how we list and promote our partner ecosystems. If you have any suggestions for how you’d like to be listed within our partner directory or elsewhere then drop us a line. We’d be happy to hear from you. 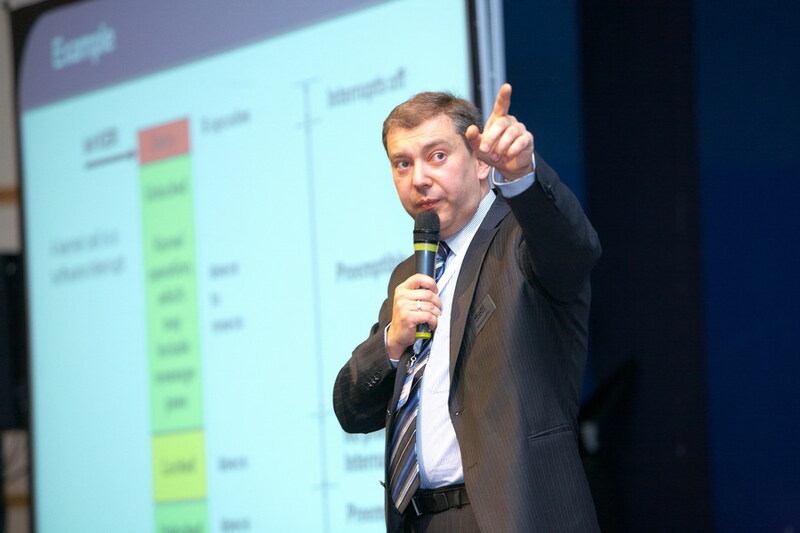 Partners overcome volcanic ash to make QNX Russia 2010 a success! In spite of the logistical challenges presented by the spewing Icelandic volcano Eyjafjallajokull, QNX partners helped to make QNX Russia 2010 a great success. 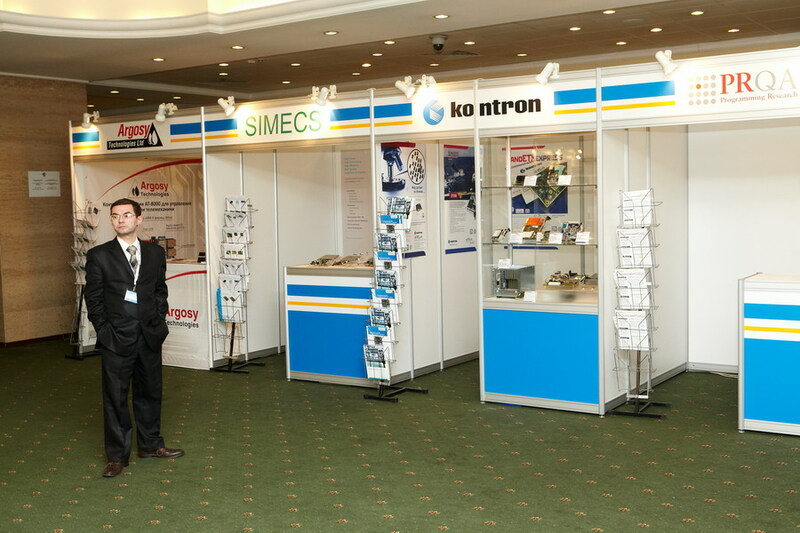 With over 400 attendees at this year’s conference there was plenty to see and learn from the exhibits and speakers. A special acknowledgment goes out to Freescale Semiconductor and Fastwell who were the respective Platinum and Gold show sponsors. Also participating were IBM as the Innovation Partner. And partners’s visiting QNX Russia for the first time: Cogent, Advantech and IVA. Last but not least, the show recap wouldn’t be complete without a call out to Larry Atkinson and Marcus Bortel of QNX who helped interface with the attending partners. Here’s Marcus at QNX Russia telling like it is! 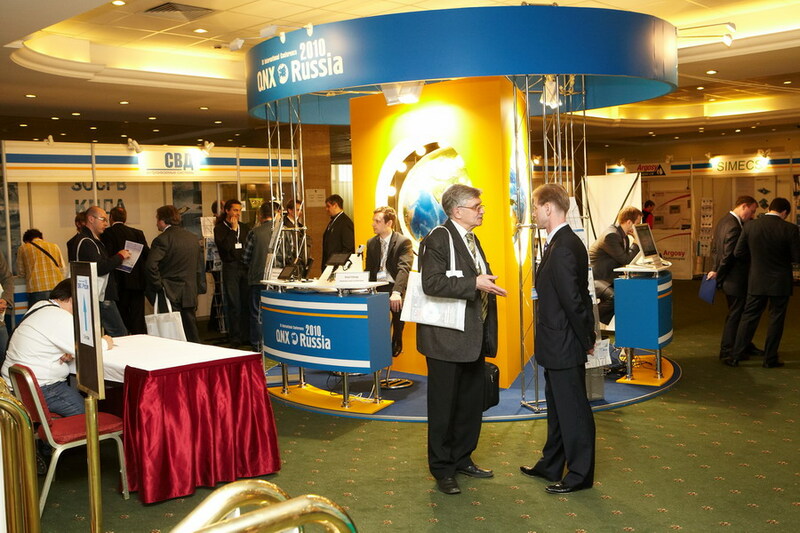 Thank you for a successful conference and we look forward to seeing you back in Moscow in 2012! Thank you to Paul Leroux @ OnQ for directing me to this editorial about the Adobe and Apple spat about Flash. In his recent open letter, Steve Jobs voiced some strong opinions about the Adobe Flash platform. Among other things, he accused it of being closed, insecure, and power hungry. But are his claims substantiated? Not according to our colleague Andy Gryc. Earlier today, Andy posted a blog that looks at Mr. Jobs’ arguments and comes to very different conclusions. You can read Andy’s blog here. Chumby has joined the QNX CAR program and will be part of the next QNX CAR release. If you don’t know about Chumby, it is a clock radio like device with upwards of 1500 widgets. Widgets range from a streaming Shamu webcam to daily Dilbert cartoons to financial stock quotes. Facebook, twitter and other social media applications are supported. They have a thriving community of widget developers, some with very strange senses of humour, serving up all kinds of content. The neat thing about Chumby was the technical scope of the integration. Chumby is a flash application and when it was brought into the QNX CAR framework it just worked. Just like that – no muss, no fuss, no problem. You are currently browsing the Tertiary Matters blog archives for May, 2010.